Congratulations to Jacinta Forbes QC who has been appointed as a judge of the Supreme Court of Victoria. Dever's List warmly welcomes Peter Dunning QC and Simon Grant to the List. James Strong (Dever’s List) and Gareth Redenbach gave a seminar yesterday about the five member Full Federal Court decision in RCF IV, chaired by Andrew Broadfoot QC. The slides are attached – there’s a lot in this case, from international tax to interpretation of the WA Mining Act – so please feel free to get in touch with Andrew or James. They may or may not have an alternative structure that would suit inbound private mining investments. Vale Andrew Bristow who has passed away. Andrew will be missed. Congratulations to Stewart Anderson QC who has been appointed as a judge of the Federal Court of Australia. Vale The Honourable John (Jack) Winneke QC who passed away on the 4th April 2019. Vale Richard Forsyth who passed away on the 2nd April 2019. Richard joined the Bar in 1975 and will be sorely missed by all. Congratultions to Dr Timothy McEvoy QC who has been appointed as a judge of the Family Court of Australia. Sturt Glacken QC appeared for the community in this very important matter. Our presenter will outline the current state of play including recent trends and current approaches to statutory interpretation, with reference to recent case law. Reading statutory text the right way – why does it matter in your work? Top tips for persuading the decision maker to adopt your contended construction. It’s statutory interpretation – but not as you know it! Congratulations to the following who were appointed as Senior Counsel today: Richard Dalton, Jennifer Firkin, Fiona Forsyth, Anthony Strahan, Scott Smith and Eugene Wheelahan. Andrew Broadfoot QC spoke recently at the National Resources Tax Conference in Perth, on restructuring corporate arrangements that may fall foul of new or foreshadowed legislative changes. The issue is whether restructuring to avoid new anti-avoidance provisions can result in taxpayers infringing the general anti-avoidance provisions in Part IVA of the Income Tax Assessment Act 1936. A copy of the technical paper and the slides used during the presentation can be downloaded for those who may be interested. Note that PCG 2018/D4 which is covered in the paper has now been released as 2018/7 which is available on the ATO website. A copy of the paper which was delivered can be found here. Congratulations to Mr Michael Wheelahan QC who has been appointed as a judge of the Federal Court of Australia and will commence in the Melbourne Registry from 3 October 2018. AIAL seminar being held on Thursday 11 October 2018 at which Stephen Moloney, Barrister, will speak on “The Question of Finality of An Administrative Decision”. The AGS Australian Women Lawyers Award has been presented to Fiona McLeod SC at the 7th National Australian Women Lawyers Conference in Sydney. Leo Cussen Centre for Law. Our presenter will outline recent trends and current approaches to statutory interpretation, with reference to recent case law. Hon Peter Vickery QC FCIArb FACICA, together with John Murray AM, addressed Australian construction law practitioners on the Murray Report (17 December 2017) on the Review of Security of Payment Laws examining ways to improve consistency in security of payment legislation and enhance protections to ensure subcontractors get paid on time for work they have done. The event was organised by HFW Australia, and held at Clayton Utz, Melbourne. Congratulations to former List member The Hon. Justice Terry Forrest on his appointment to the Victorian Court of Appeal and to Steve Moore QC on his appointment as a Judge of the Supreme Court of Victoria. Congratulations to Kevin Lyons QC on his appointment as Judge of the Supreme Court of Victoria. The profession will extend a welcome at a ceremonial sitting in the Banco Court on Wednesday, 30 May 2018 at 9:15 am. Congratulations to Mandy Fox QC on her appointment today as a judge of the County Court. On 13 March 2018 at 5pm, Andrew Broadfoot QC will be one of the speakers at a presentation and panel discussion hosted by Melbourne Law School and the International Fiscal Association at the Federal Court, on the topic of Deciding Tax Cases in an International Context. The other speakers are President Dr Peter Darak, the President of the Curia of Hungary which is the supreme judicial authority of Hungary, Justice Jennifer Davies of the Federal Court, formerly a Supreme Court judge and Senior Counsel with Dever’s List, and Mr Jeremy Geale, Deputy Chief Tax Counsel of the Australian Taxation Office. This is a public event and attendance is free, but an rsvp is necessary. A copy of the invitation and registration details can be found here. On 12 December 2017 Claire Nicholson (Dever’s List) and Anna Wilson presented a CPD seminar on the recent Full Federal Court decision in Lewski v Commissioner of Taxation. The session was chaired by Andrew Broadfoot QC (Dever’s List) who appeared for the successful taxpayer in the case. The case is an interesting one as it touches on a range of procedural and substantive legal issues, it distinguishes the long standing decision of an earlier Full Federal Court in Malouf, and is the first decided tax case that considers the effect of trust distribution resolutions that contemplate adjustments in beneficial entitlements to income in the event that the Commissioner seeks to amend an assessment. A copy of the slides from the session is available here. The Honurable Marilyn Warren AC QC is available to Arbitrate matters either in Australia or Internationally. Dever's List congratulates Paul Hayes S.C., Scott Stuckey S.C. and Michael Gronow S.C. on their elevation to silk. On Wednesday 15 November 2017, the Governor in Council appointed Eamonn Patrick Aquinas Moran PSM QC the Inspector of the Victorian Inspectorate, commencing from 1 January 2018. The appointment is made under the Victorian Inspectorate Act 2011 (Vic) and is for a term of 5 years. The Inspector is an Independent Officer of the Parliament. Patricia Riddell announced as a judge of the County Court. Attorney-General Martin Pakula today announced the appointment of Patricia Riddell as a judge of the County Court. Ms Riddell brings more than 20 years of legal experience to her new role, specialising in criminal law, occupational health and safety, medical negligence and professional disciplinary matters. Congratulations to Matt Walsh on the opening of Walsh Chambers in Geelong. Walsh chambers allows for a permanent presence of counsel in the heart of Geelong and includes mediation and conference facilities as well as a hot desk for solicitors and barristers. Effective 13th October 2017, William Alstergren QC was appointed as the Chief Judge of the Federal Circuit Court and he was also issued a joint commission as a Justice of the Family Court of Australia. Mark Robins QC appearing in "The Browning Version"
Mark Robins QC is appearing in a one-act play on 5, 6 and 7 October 2017 at Melbourne Grammar (St Kilda Road, Melbourne). It is titled “The Browning Version,” and is a play about a school master whose life is spiraling horribly out of control. It is being presented on a double-bill with a new Australian play about the Challenger shuttle disaster. On 20 September 2017 Andrew Broadfoot QC and Gareth Redenbach presented a seminar on the availability of declaratory relief in revenue law disputes, following the recent decision in Sandini v Commissioner of Taxation. In that case a single proceeding for declaratory relief avoided the potential for two sets of inconsistent alternative assessments which may have led to duplication in objections, objection decisions and court proceedings. Copies of the slides used by Gareth and Andrew and a copy of Andrew’s speaking notes which discuss the relevant principles can be obtained by clicking the hyperlinks. At the Consult Australia Awards for Excellence dinner in Sydney last Thursday, Tony received the President’s Award. The Award recognises the individual or firm who has contributed most to Consult Australia and/or the industry over the past 12 months. 2017 Asia Pacific Insurance Conference (APIC). Dever's List is a sponsor of the upcoming 2017 Asia Pacific Insurance Conference (APIC), held from the 18th – 20th October 2017 in Singapore. Caroline Kirton QC, Tim McEvoy QC, Ian Percy and Anthony Strahan are all attending, as is Michael Dever. It is with deep regret that we inform of the death yesterday of Noel Ackman QC. Attorney-General Martin Pakula today announced the appointment of Aileen Ryan QC as a judge of the County Court. Attorney-General Martin Pakula today announced the appointment of the Honourable Justice Anne Ferguson as the new Chief Justice of the Supreme Court of Victoria. The Minister for Revenue and Financial Services, the Hon Kelly O’Dwyer MP appointed Ria as a part-time member of the Tax Practitioners Board for a three year period from 22 July 2017. Paul has been appointed to the International Biathlon Union (‘IBU’) Anti-Doping Hearing Panel and the IBU Court of Arbitration. It is with deep regret that we inform of the death yesterday of The Honourable Allan McDonald AO QC. It is with deep regret that we inform of the death this morning of John Barnard QC. John was 86. Dever's List welcomes Coral Alden, Fatmir Badali and Angus Christophersen to the Bar. Who’s Driving the Injured Worker? Chris sadly passed away over the Easter weekend. He will be missed by all. Jeff sadly passed away on Tuesday 28th March. He will be missed by all. The Australian Bar Association invites you to attend the 2017 ABA Conference to be held in London and Dublin from 2 – 7 July. The biennial conference presents a rare and unique opportunity for barristers and members of judiciary to discuss and share innovative ideas, political influences and the challenges and opportunities facing the profession. Leaders of the UK, Irish and Australian Bars and bench will come together to consider trends in litigation, legal access and policy, including an examination of recent developments concerning Brexit and world markets. The conference program includes a full day session at London’s Inner Temple and two and a half days of sessions in Dublin. A separate Taxation stream will also be offered in London. Highlights include keynote addresses from The Hon. Justice Keane AC, High Court of Australia and The Hon. Stephen Gageler AC, High Court of Australia. The conference program also includes an exciting schedule of social and networking events and is expected to attract over 150 barristers from Australia. Social program includes a tour of the Irish Bar and Courts, drinks functions and a Gala Dinner at Dublin’s King’s Inns. Advantageous conference rates have been negotiated for both travel and accommodation. Registrations are now open at www.abaconference2017.com.au Early bird rates are available until 21 April. John sadly passed away on Wednesday 22nd Feb. He will be missed by all. The Australian Bar Association has welcomed in the 2017 law term with the announcement of the association’s new President, Will Alstergren QC and new CEO, Cindy Penrose. Paul Menzies QC will be presenting at Leo Cussen on 14th March 2017 at their Government Lawyers Intensive. His topic will be "Compromise or Leave"
"How should you react and what should / can you do when your professional principles and judgments are questioned and personal values are at risk? With reference to recent high profile examples, this session will address the risks, consequences and ethical issues raised when you feel compromised." Congratulations to newly appointed Senior Counsel Mandy Fox, Tim McEvoy, Paul Connor, Andrew Broadfoot and Daniel Crennan. We wish Oliver Cain, Roshena Campbell, Emily Golshtein, Paul Lamb, Katie Manning and Sarah Zeleznikow all the best with their careers at the Bar. This year's Reclink charity AFL game was won by the barristers for the first time in six years! Special mention to Dugald McWilliams for his huge efforts over four quarters. Monies raised will provide and promote sport and art programs for people experiencing disadvantage. Attorney-General Martin Pakula today announced the appointment of Samantha Marks QC as a judge of the County Court. Former AFL operations manager Adrian Anderson has helped two Ganmain-Grong Grong-Matong football players win their appeal. Paul Hayes has contributed to a new book titled 'Doping in Sport and the Law,' which will be launched by former WADA chairman John Fahey AC tomorrow in Sydney. 'Doping in Sport and the Law' will be released by Hart Publishing on 22nd of September and can be purchased from this link. A detailed overview of the book and be viewed here. Claire Nicholson appears in last minute injunction for squatters being removed from houses bought in the scrapped East/West Link project. Congratulations to Kerri Judd QC on being appointed Senior Crown Prosecutor. The 2017 Commonwealth Law Conference will be held between 20-24 of March, and will feature Fiona McLeod SC speaking about Human Trafficking and Forced Marriage. Register interest via this link. Dever's List sends its deepest condolences to the family of The Honourable Dr Alan Henry Goldberg AO QC. Alan was a treasured member of the List and will be missed by all. Paul Hayes was involved in a successful decision this week involving Mitchell Iles' selection for the Australian olympic shooting team. More information regarding the matter can be viewed at the below link. The 24th February AILA Annual Dinner at the RACV proved, yet again, to be a very enjoyable evening, as all those involved in insurance law in Australia came together in a congenial atmosphere. Devers List again sponsored the event and all who attended would like to thank the speaker, Simon Wilson QC, the senior silk and member of Greens List. John Dever wishes to thank AILA for their superb management of the event as well as their ongoing commitment to ensuring members of AILA are well served by their membership of this organisation. The Attorney-General has appointed Judge Sara Hinchey as the new State Coroner. See details of the appointment at the below link. Congratulations to Fiona McLeod QC on winning not one, not two, but three awards at last Friday nights Women In Law Awards evening. Fiona won the 'Mentor of The Year Award' as well as the 'Barrister of The Year Award. 'On top of these two prestigious wins Fiona also was awarded the 'Excellence Award,' which was chosen from all the winners on the night. For all the award winners please see the attached link below. Congratulations to Mark Moshinsky QC who has been appointed to the Federal Court, his appointment will commence on the 2nd of November 2015. Congratulations to Dr Josh Wilson QC who has been appointed to the Federal Circuit Court, his appointment will commence on the 2nd of November 2015. John Tesarsch has published an article on the Huffington Post Blog regarding Family Will Disputes, please see link below for article. Samantha Marks QC has provided a useful summary of the New Supreme Court Rules of Victoria due to take effect in November 2015, please see the link below. You may also wish to regularly check Sam's blog for many other useful and interesting reads. Just a reminder that early bird bookings close this Friday 11th, save $100 by doing so. See link below. The Victorian Bar President, James Peters QC, congratulates Peter Kidd S.C. on his appointment as Chief Judge of the County Court of Victoria. The Governor in Council made the appointment today, to commence on Monday 28 September 2015. Dever's List would like to congratulate and welcome The Hon. Justice Jane Dixon QC to the Supreme Court of Victoria. In case you missed it, you can view her welcome via the below link. 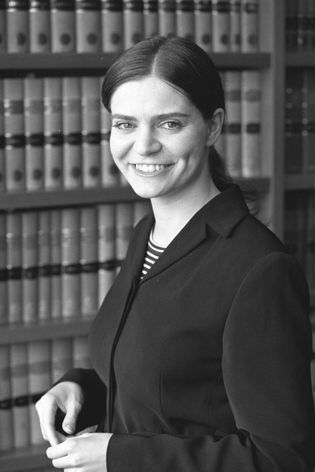 Samantha Marks QC was involved in a Mutual Wills decision yesterday in the Supreme Court. View Judgment below. Caroline Kirton QC had received her Diploma in International Commercial Arbitration and therefore has been upgraded to Fellow of the Chartered Institute of Arbitrators. Dr Josh Wilson QC and Tony Burns delivered the attached paper to group of lawyers at Slater & Gordon. On 26th May 2015, the Attorney-General announced the appointment of Sara Hinchey to the County Court of Victoria. Sharon Burchell & My Anh Tran have been appointed as Judicial Registrars to the County Courts Commercial Division. Dever's List would like to congratulate Garry Moore on being granted life membership to the Victorian State Branch. This honor was bestowed because of Garry's commitment to representing and helping Veterans and their affairs. Dever's List would like to congratulate Peter Riordan QC on his appointment to The Trial Division of The Supreme Court of Victoria. Devers List would like to welcome The Honourable Justice Sue Crennan AC. Available as an Arbitrator and Mediator from February the 3rd 2015. Dever's List would like to congratulate Jacinta Forbes S.C. and Steven Moore S.C. on being appointed to silk. Dever's List would like to extended a well deserved congratulations to Tim Bourke on being appointed to the Magistrates Court of Victoria. Dever's List would like to congratulate Sharon Burchell on being a finalist in the Lawyers Weekly, Women in Law Awards. See the link below for details. Dever's List members D.Crennan, A.Bailey and T.Dowling were involved in a recent decision of Hargrave J, that could have serious implications in the banker/customer relationship and the duties owed by a bank to borrowers. Brian Mason has written a fantastic article for the latest edition of the Law Institute Journal, please view the link attached. We would like to congratulate Jane Dixon QC on winning the Lawyers Weekly Senior Barrister Award. A congratulations to Eugene Wheelahan for making the finals in the Junior Barrister Award. Daniel Clough has just released his new book 'Competition Law - The Laws of Australia', if you would like a copy please visit the link below. Please view the below link to the cover story of the latest issue of Resolve. The 2014 ABA Conference is to be held from the 7-10 of July in Boston, Massachusetts USA. Please register any interest you may have by emailing the link below. All the latest news from the Victorian Bar. All the latest from the Victorian Bar. Please note that the end of the CPD year is approaching fast (31st of March), please make sure that all minimum requirements are satisfied. Chairman of the Victorian Bar and Dever's List member Will Alstergren SC opens the new Melbourne Commercial Arbitration and Mediation Centre (MCAM), along with Attorney General Robert Clark and Chief Justice of the Supreme Court the Hon Marilyn Warren. Dever's List would like to congratulate Fiona McLeod SC on her induction to the Victorian Honour Roll for Women on International Women's Day. Richard Attiwill SC and Greg Harris SC have been appointed as Senior Counsel in and for the State of Victoria. Will Alstergren SC is the new Chairman of the Victorian Bar Council, following elections which saw 10 new council members elected to the 21 member Council for the 2013-14 term. Paul Hayes has received the Denis Callinan Award which was announced at the ANZSLA Annual Conference in Brisbane last night. The Denis Callinan Award recognises members who render commendable community service in the field of sports law. Congratulations to Ron Gipp on taking out the 2013 Footy Comp! Garry's thesis examines efforts to delineate Victoria's borders according to British prescriptions. It shows how those prescriptions, and the efforts to implement them, generated practical uncertainties and legal disputes that continue today. It also considers whether the legal doctrine of prescription and acquiescence could resolve those disputes. The Governor-General in Council today appointed as Judges of the Federal Court of Australia List members The Honourable Justice Jennifer Davies (effective 4 July 2013); and Debbie Mortimer SC (effective 12 July 2013). Congratulations to John Digby QC on his appointment as a Judge of the Supreme Court of Victoria. Michael Hines recently conducted a seminar for ICU on appeals in family law property disputes. We would like to welcome David Loadman back to the bar. David's practice is based in the Gippsland area and he is available for matters in that region. Congratulations to The Honourable David Brookes on his elevation as a judge of the County Court of Victoria. Congratulations to Caroline Kirton SC for receiving the Women Lawyers Achievement Award in General Excellence (Advocacy/Academic/Judiciary). Our best wishes to The Hon. 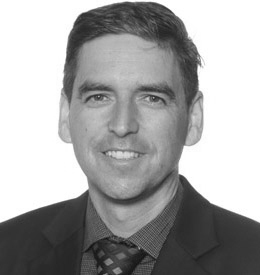 Gregory Garde AO RFD QC who was appointed a Judge of the Supreme Court of Victoria, and as of the 1st June 2012, President of the Victorian Civil and Administrative Tribunal.